The entire Monnit group would like to thank you for your ongoing collaboration. 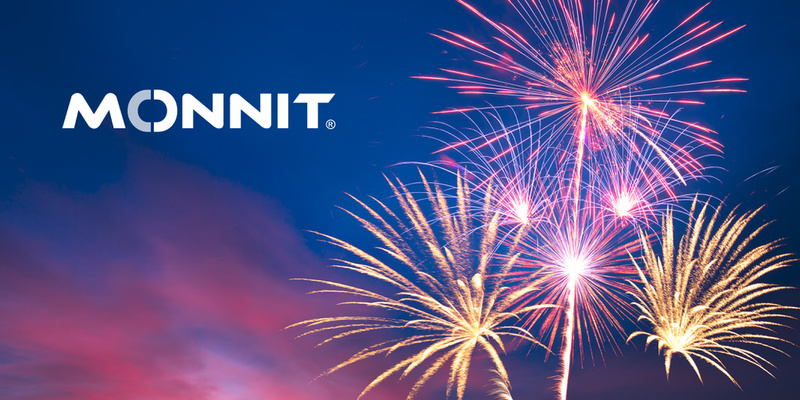 2018 was Monnit’s best year ever, and we owe it to you—our partners and customers. We look forward to continuing our work with you in 2019. Together we will bring the world even more innovative IoT solutions. Last year, we introduced new ways of monitoring your things, from the ALTA Air Sensors to the Smart Thermostat. As a global IoT leader, we also established tremendous international joint ventures, such as forming Monnit Korea with Seoul-based SeAnTecs Inc., a global property management firm. These milestones have readied us to support you this year in optimizing processes, enhancing services, and bolstering your bottom line. January 8-11, we’re showcasing our industrial and enterprise-grade remote monitoring solutions at the Consumer Electronics Show in Las Vegas. The CES show demonstrates how the web of interconnected things grows denser each day. We’ll be there helping firms of all sizes collect and manage the data they need to move business forward. Head confidently into 2019 knowing that Monnit will launch several new products—led by the upcoming ALTA LTE Gateway—to enhance your current remote monitoring applications and open new possibilities for you. This year, you will see solutions that help you obtain data from harsh locations, provide even greater retail asset management, and help protect the most valuable resource of all: people. Monnit is headquartered in Salt Lake City, Utah, home to the Silicon Slopes—a global hub of technology and talent. At our main facility, our hardware and software engineers create, our fulfillment group builds and ships, and our sales and support team answers your calls within three rings. And although our global leadership will continue growing, the industry-leading support and collaboration you’ve come to rely on will remain constant. We hope 2019 presents you with opportunities to grow your business and serve your community. Should you need assistance, give us a call at 801-561-5555 or email us at info@monnit.com. We’re here to listen, learn, and help.